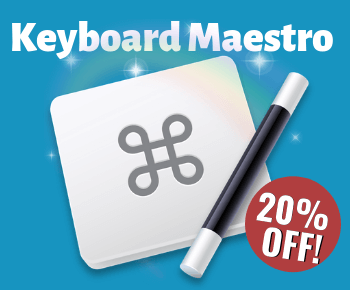 Just as your Mac has a system wide clipboard, Keyboard Maestro also has global clipboards. KM however can save a history of everything you copy on your Mac, whereas the Mac’s clipboard only saves one clipping at a time. Each time you copy something new on your Mac, it replaces the previous copied item on the clipboard. But with Keyboard Maestro, it saves a copy of each new clipping you make. (Note: the Saved Clipboard History is not by default enabled in KM. You will need to enable it in Preferences > General > Save Clipboard History. The screenshot below shows KM’s Clipboard History Switcher. The keyboard shortcut Command-Control-Shift-V will bring up the switcher. If you find that keyboard shortcut a little awkward, you can change the hot key assigned to it. The name of the macro is Activate Clipboard History Switcher. If you don’t find it in the Clipboard Macros folder, just do a search for it in KM. With the Clipboard History Switcher, you can of course paste individual clippings into any application. Notice you can also star individual clippings as favorites. Starred clippings will remain in the history. You can also send selected clippings to another Mac that has KM installed, but I’ll cover that in another tutorial. Now let’s move on to Named Clipboards. Note: The Clipboard History Switcher captures text and image clippings, as shown above. The Named Clipboards feature in KM allows you how to create as many clipboards as you like, but unlike the Clipboard History Switcher, Named Clipboards only retain one clipping at a time. Each time you copy a new clipping to a Named Clipboard, it replaces the previous clipping. 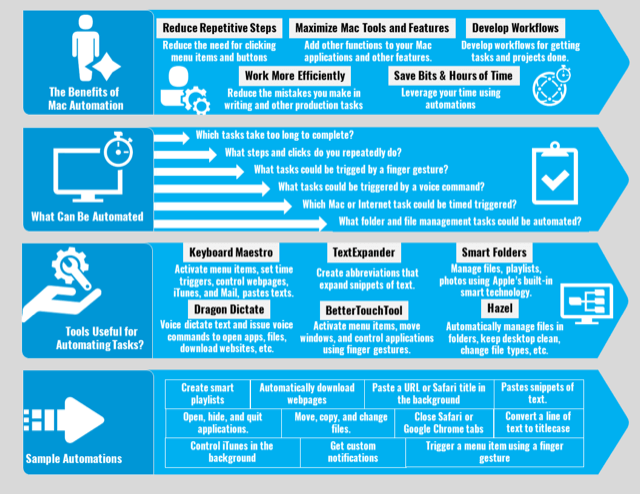 At first that might not sound very useful, but when you learn how to use Named Clipboards you’ll see how they can be used in actions and macros. So a way to think about Named Clipboards is that they are temporary or permanent ways to hold clippings, including text or images. 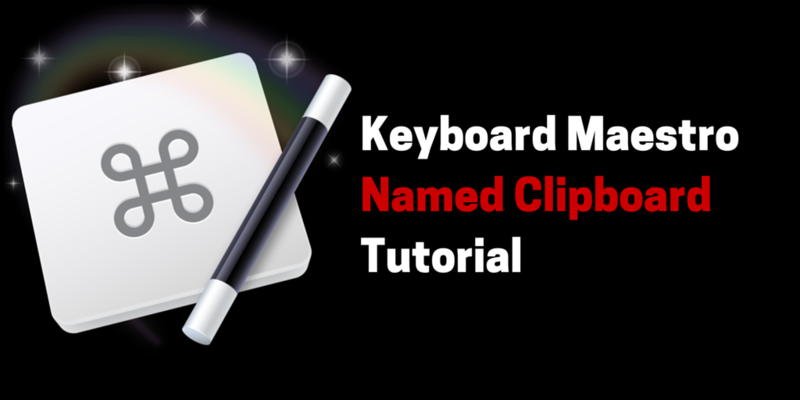 Named Clipboards can be activated by any of the KM’s triggers, including hot keys. Named Clipboards work similarly to clipboard managers, such as TextExpander. 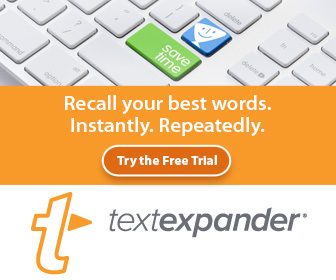 I find TextExpander more useful for storing hundreds of regularly used snippets that I frequently use while writing, whereas I use Named Clipboards for special automations. To get a good idea of how Named Clipboards work, let’s create one. Click on the “Default Clipboard” drop-down button of items, and select “New”. 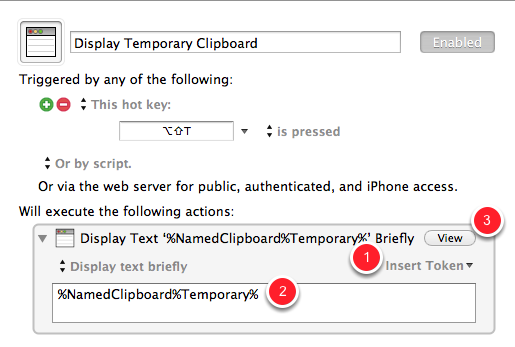 Step 2: Type “Temporary” in the Named Clipboard field. 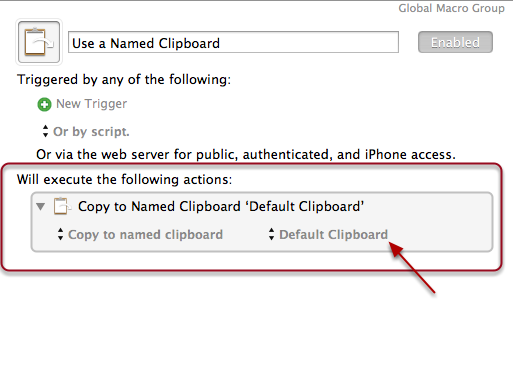 Note: whatever is already on your Mac’s system wide clipboard will appear in the Named Clipboard box. Ignore that for now. So essentially you have created your first Named Clipboard, which gets listed in the Clipboards section of KM’s Preferences. You can add as many clipboards as you like. Notice also that you can add Named Clipboards in the Clipboards section (click the + button, and then type or paste whatever text you want to permanently remain there. For instance, you can create a Named Clipboard for a boilerplate letter, another one for your business address, and perhaps one for your Facebook URL. Each of Named Clipboard can be assigned a unique trigger and can be used like any other macro action. Now you can use this macro to copy snippets directly to your Temporary clipboard. 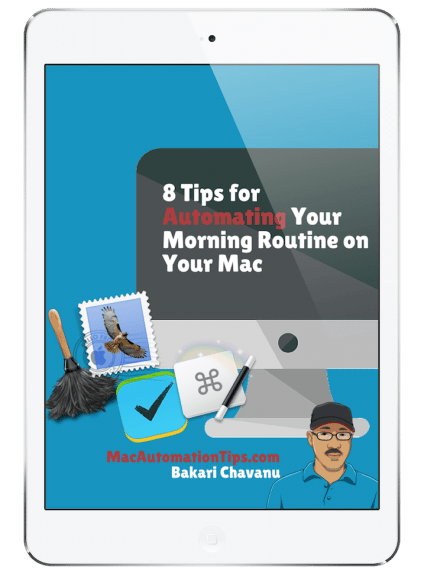 The snippet will also get copied to your Mac’s system wide clipboard, as well as KM’s Clipboard History. However, until you copy a different item (snippet of text or image) to the Temporary Clipboard, the item you last copied to it will remain there. In addition to copying text to the named clipboard, you can open the clipboard in Preferences and manually type what you want to store and paste. But since this is a Temporary clipboard you probably will use it to just store a piece of copied text temporarily. Now let’s create a macro to paste whatever is on your Temporary clipboard. 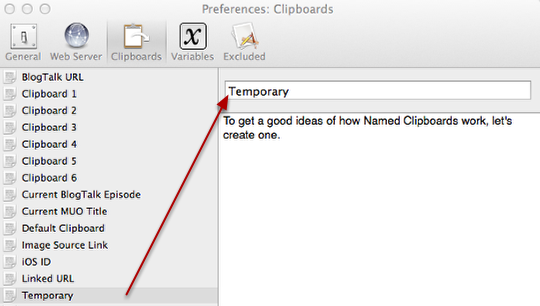 Change Default Clipboard name to “Temporary”—the name you used for the Named Clipboard. Give the macro a name and a Trigger. Now you can paste whatever is on your Temporary clipboard into any application. 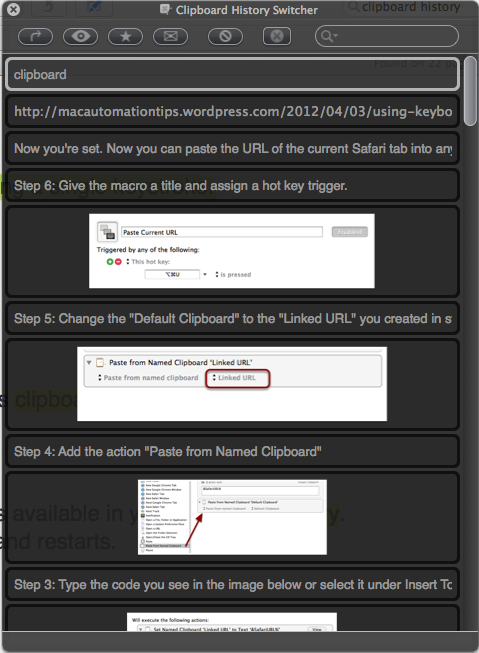 Named Clipboards can be used in other macros and actions. In the next step we will create an action that briefly displays what’s on your Temporary clipboard. Step 5: Create a new macro and add the “Display Text” action. 1) Where it says, “Insert Token”, select “Named Clipboard” from the drop-down menu. 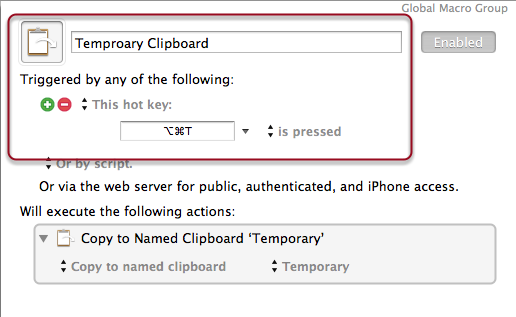 2) Change the “Default Clipboard” to “Temporary”. Give your macro a name and Trigger. 3) Click the View button in the action to quickly see if the action works. A text box with the copied item currently in your Temporary clipboard should display for about five seconds. Note: You can change Display text briefly in the action to another type of action, such Display text in a window. Please let me know what you think of this tutorial. If you found any part confusing, just drop me a line and let me know. At some point, I will create a video tutorial of the process. Is there any way to create a new named clipboard on-the-fly within a macro? Not finding anything. It would be useful to be able to (permanently) save potentially useful snippets when I run across them, without having to anticipate what they might be. Eurobubba, for a Named Clipboard, you can click on in the Cut or Copy to Named Clipboard Action, the Default Clipboard>New (scroll to the button if you already have lots of names) button to create a new named clipboard. You might also look at using the Prompt for User Input action, and see if something can be done that way. I’ll need to look into that one. Thanks, that’s what I was looking at today, but I didn’t see a way to postpone naming the new clipboard until the macro is executed. Maybe I should be looking at the cut/copy/paste switchers instead — haven’t really grasped how those are supposed to work yet….